What shall be done to this heretic? Should i make the SIA force the Axis to assault the others to spread democracy through ideological wars? Or should we be the good guys we definitely, totally are. 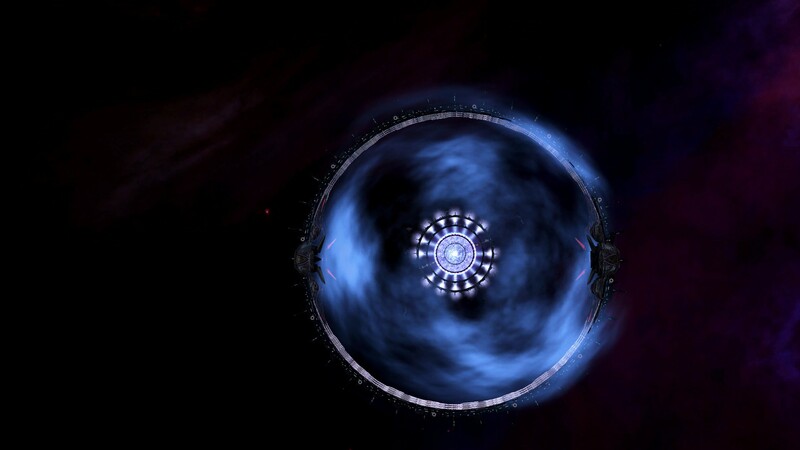 The crust of Speakeasy was also converted into a giant supercomputer capable of calculating the most efficient paths of movement and projectile trajectories in real-time through a system of faster-than-light galactic relays. 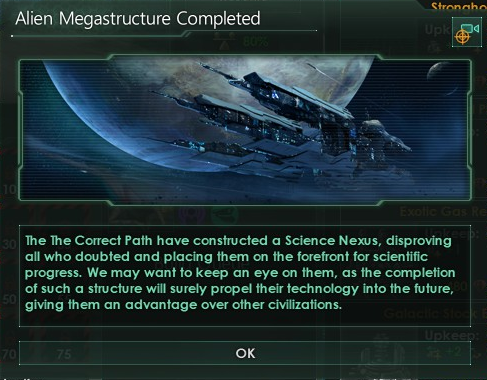 As well as this it further increased our research capabilities, which was somewhat unnecessary with the Matrioshka Brain providing us with more power than we could currently utilise. Our Peace Planet had also been completed, its ion-drives firing up and lurching the entire celestial body out of its orbit. 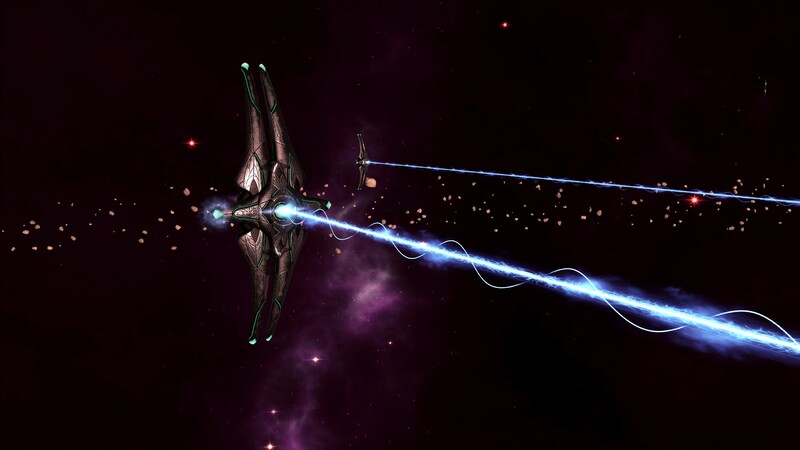 We had equipped it with an enormous laser beam which we simply named the "Omega Eraser Beam" capable of annihilating even the most reinforced ships and most powerful of shields. 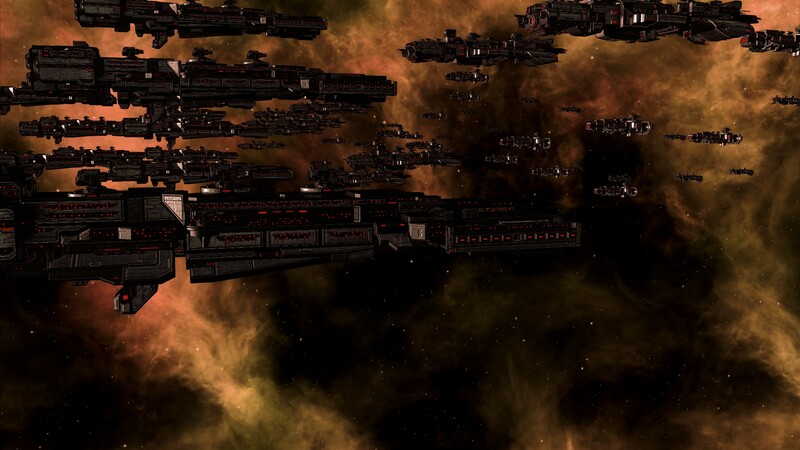 As long as our fleets were accompanied by this machine of war there would be no stopping us, we could guarantee the saftey of allies whilst threatening annihilation upon those that sought to destroy us. One might think that was enough, but the Assembly didn't. 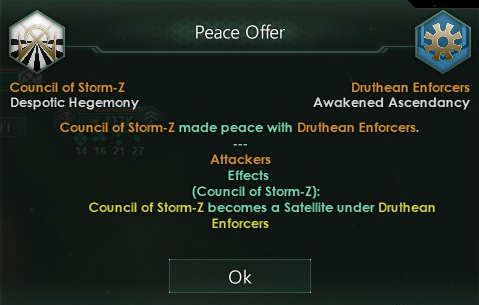 The Peace Planet could only defend one area of the galaxy at a time. There would be instances we would have to strike the industrial heart of an opponent to neutralise their war-machine and thus eliminate a threat without the need for unnecessary loss of life. 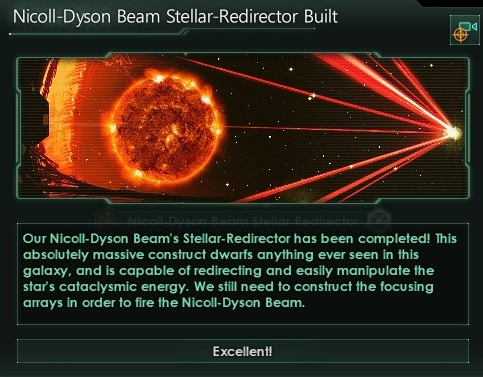 For that we had begun construction of a Dyson Beam, a weapon funnelling the power of a star and concentrating the energy into a single ray capable of sheer devastation. 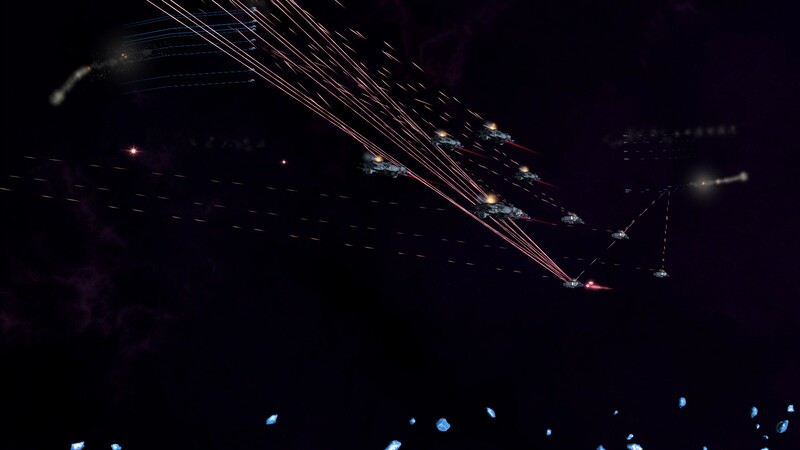 To make sure the beam only hit the intended target converted construction ships (fully autonomous without crew) would be sent on suicide mission to their targets. 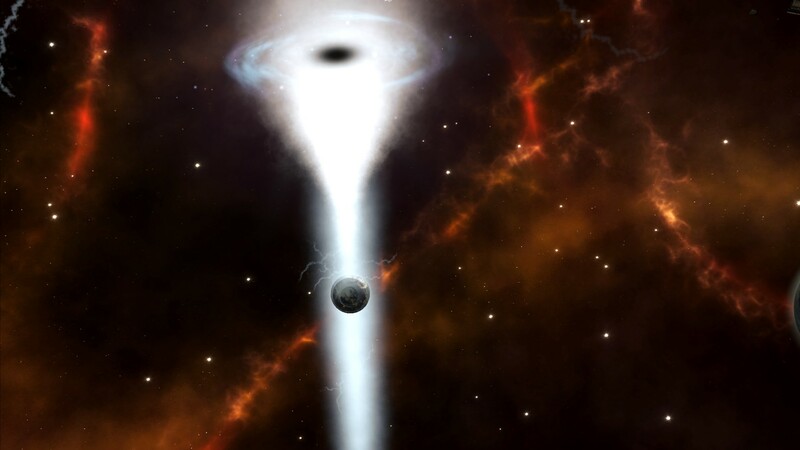 They would open a rift through which the ray would traverse the galaxy. It's a terrifying amount of power to wield, but we must do what must be done to protect liberty. We were not the only ones trying to make advances. The Correct Path had become the second most powerful civilisation ignoring the fallen and awakened empires. 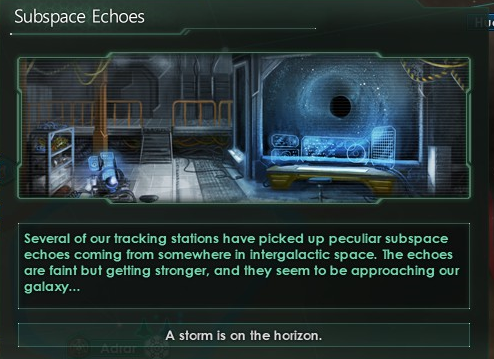 They had constructed a giant research facility to boost their efforts, trying to catch up with the progress made as a result of the Matiroshka Brain. It was nowhere near as powerful as our brain but it would allow them to accelerate their research significantly. As well as this there were a few developments on the galactic stage. The Scummer Moderation Collective had chosen to betray those of the Mt'd Kingdom. They had started to intergrate them into their Hive Mind which would strip each Mt'd Kingdom resident of free will, turning them into a drone of the Collective. The Mt'd had no choice but to allow it to happen, resistance would simply result in the destruction of their peoples. 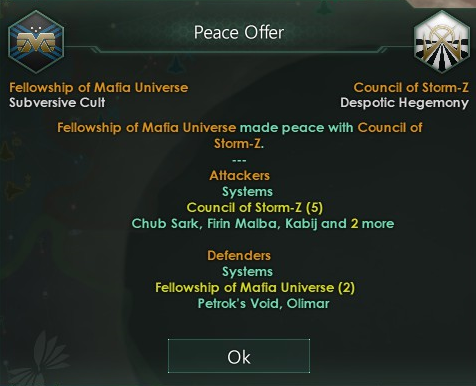 Storm-Z and Mafia Universe had finally also made peace, netting the Council of Storm-Z a fair portion of territory. 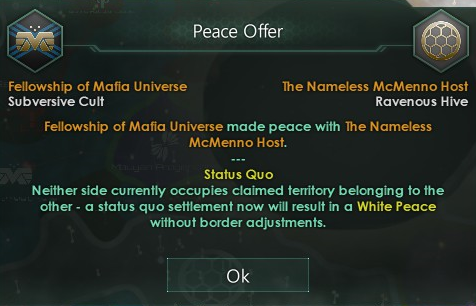 Mafia Universe also made peace with the Nameless who had essentially shattered an era of prosperity for the M'u. 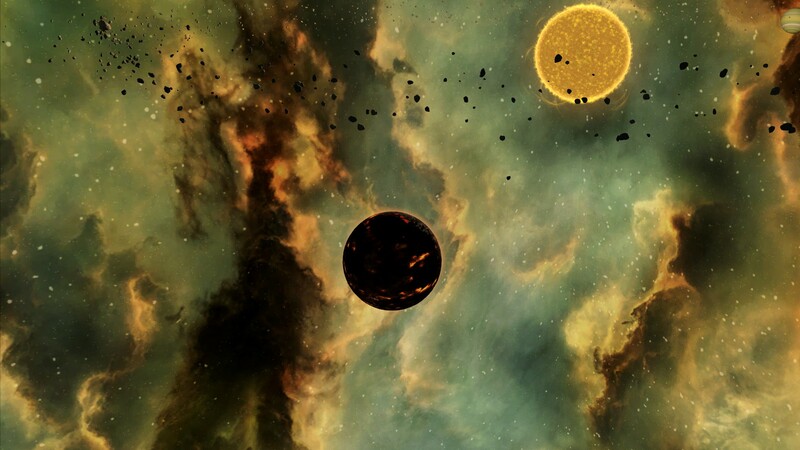 Our diplomats also noted a strange development in the territories of the Mafia-451, for it seemed they had lost control over their capital system as well as their planet. 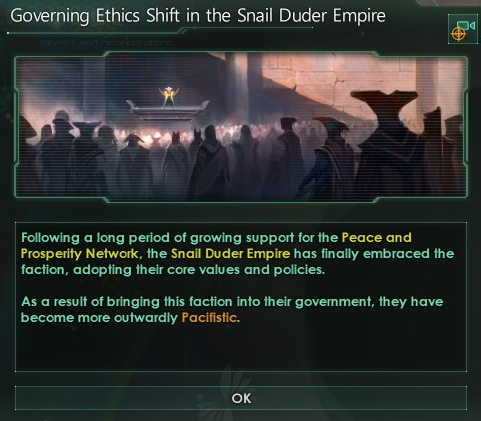 The star Dumpster Fire and the capital world Mafia-451 had been seized by an uprising of Snail Duders which had somehow managed to free themselves of their Cybernetic enslavement. They had declared independence and the U'i Enlightened Kingdom was aiding their cause as a neighbour and former Mafia-451 captive. The two civilisations shared absolutely no ideological or political ground, yet they stood together for the greater good and their right to self-determination. The Scummers of the Assembly (of which there are now over a trillion of!) watched the events unfold in the media and stood in solidarity for those fighting for freedom. 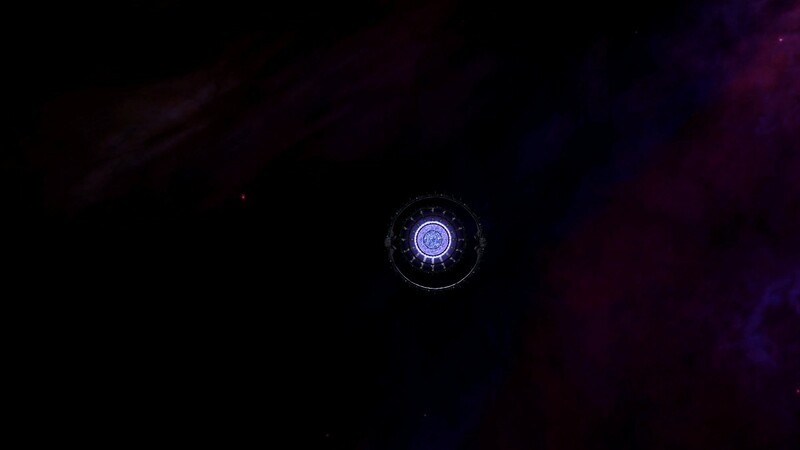 Finally we were lucky enough to witness a supernova up close. 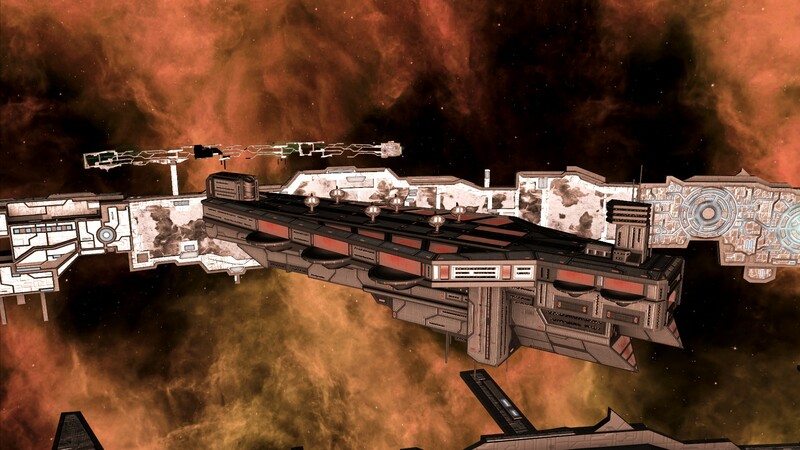 We had an outpost orbiting a star is the flip side to it, an outpost that is most definitely no more. Those manning it were evacuated in time however so no lives were lost, instead we could watch from a safe distance in awe. The Compact of the Snuggly Ducks, represented by president Bu'S va'Bir, called a Celestial Axis federal meeting. 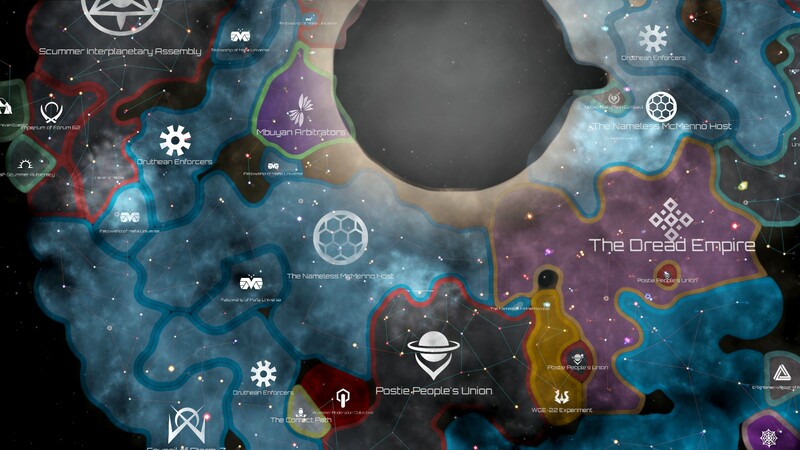 The heads of the other 3 member states then gathered with him: president Papa Zito of the Scummer Interplanetary Assembly, presiding speaker Cireas of the Postie People's Union, and chairman Bunram Hjolmir of the Urist Commerce League. The Snuggly Ducks wanted to discuss matters of war. 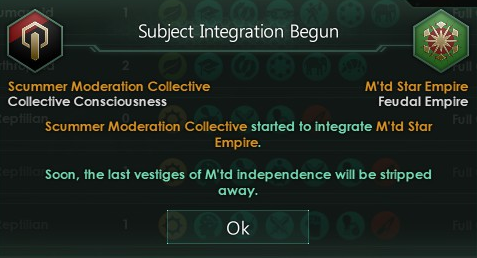 The Moderation Collective had recently finished integrating the Mt'd into their nation, stripping the last vestiges or free will from the populace as they became drones of the hive. 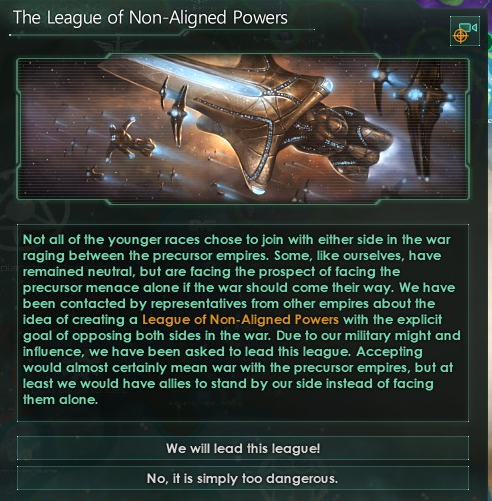 Their military alliance with the Correct Path was also causing notable concern. 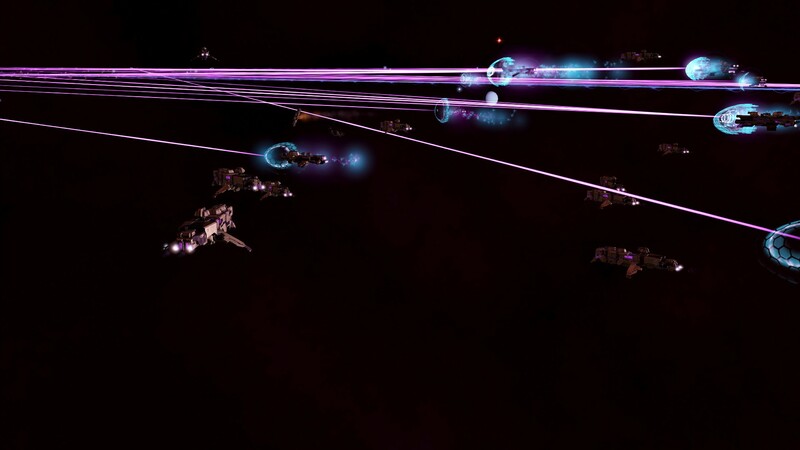 The Druthean Enforcers were a major concern and the Ducks simply didn't believe we could fight them should the Collective and the Path stand in our way. We best cripple them, together, now. The Ducks naturally voted in favour, calling the counsel. The Urist Commerce League did likewise, neighbouring both of these threats to their sovereignty. The Postie's saw no reason to veto the vote, and thus the decision fell to us. The Assembly voted in favour. We should strike first, and then prepare ourselves from the real war yet to come. 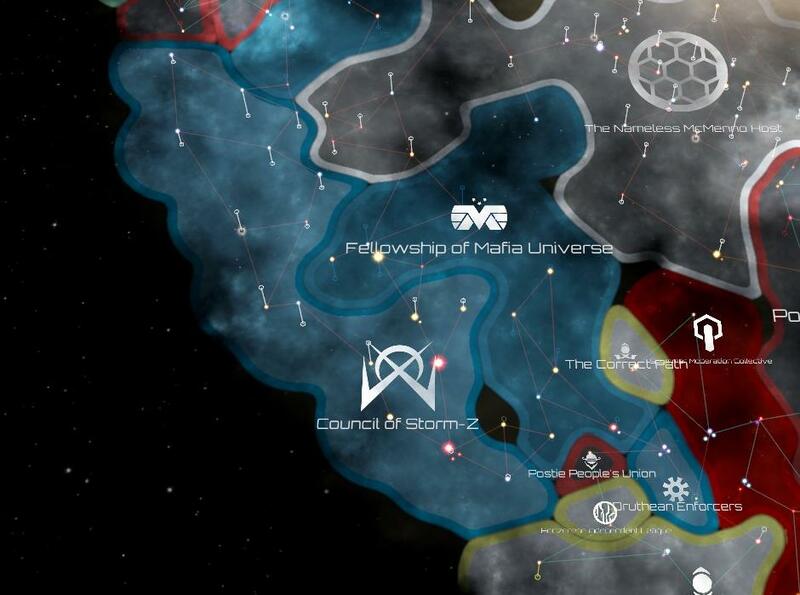 The Celestial Axis was going to war. With war now upon us work on the Strategic Coordination Center was rapidly accelerated. Within two years we had developed an even more powerful comms-system as well as a virtual reality training ground which allowed us to fine-tune all our plans in simulated assaults and defences. 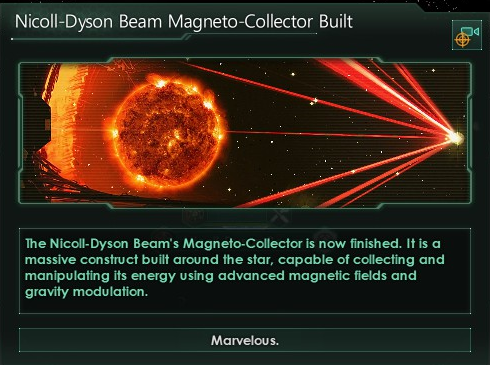 It was a marvel of modern science. 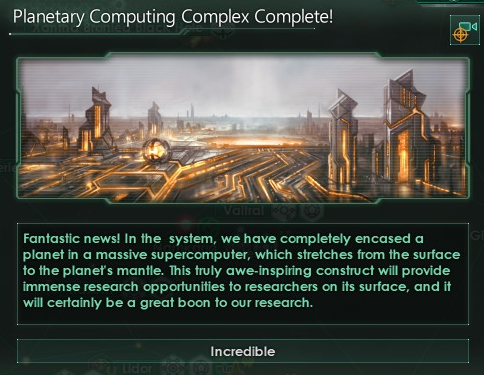 Our ring world complex had also completed its third ring in the same system as the SCC. Should the worst befall our peoples we would hold out in this system until the bitter end. 2 trillion Scummers could live upon the 18 habitats we had created, enough to house our entire populace and future generations. 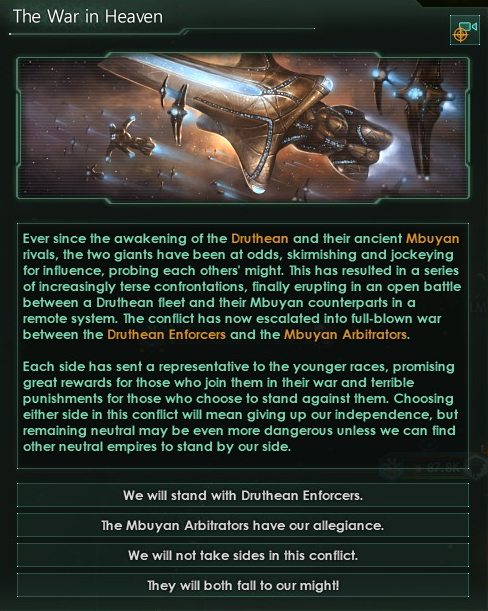 The Druthean Enforcers also put an end to a number of the conflicts they had started shortly after our federal war declaration. The Council of Storm-Z was forced into surrender, as as such had to hand over their sovereignty to the Enforcers. 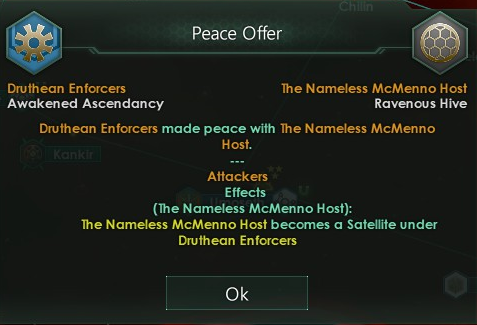 The same fate befell those of the Nameless McMenno Host, whose fleets and armies were not enough to retain sovereignty despite their prior status as a regional superpower and threat. The next victim they laid their sights upon was Mafia Universe. 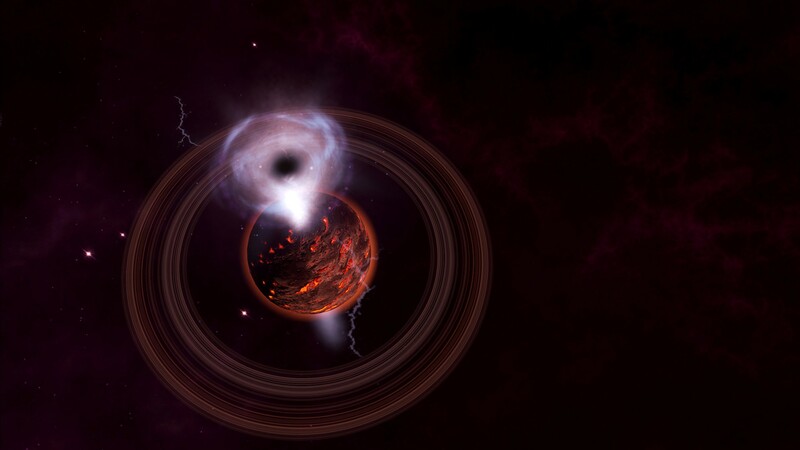 The M'u neighboured both Storm-Z and the Nameless and as such would be forced into war against them. 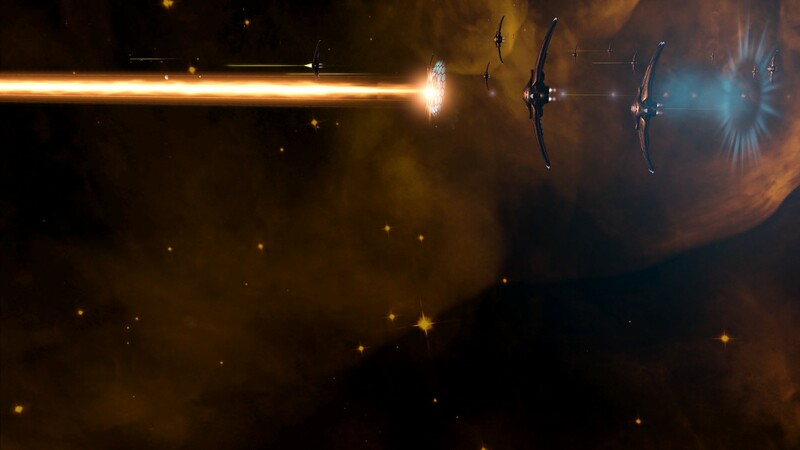 Those two combined with the Enforcer fleets spelled doom for the M'u, and we predicted it was only a matter of time before the fell under the control of the awakened empire. 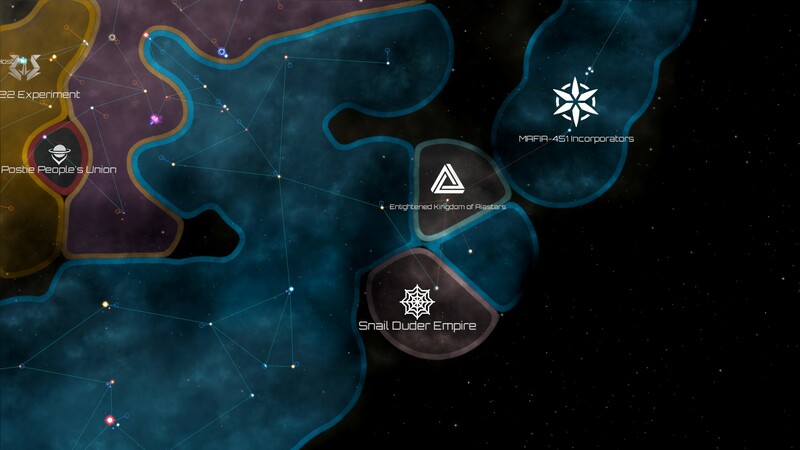 Meanwhile two of our fleets (the almighty Centurion fleet was left behind to guard our territories) were sent to Moderation Collective lands along with the Federal fleet which we commanded. 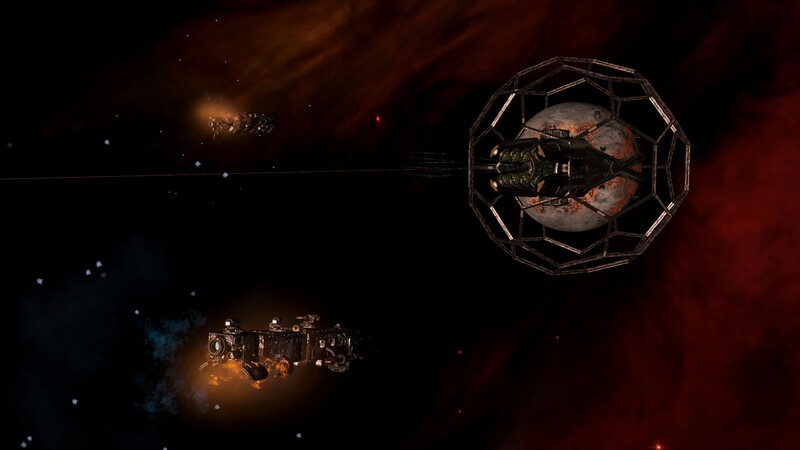 The Urist Commerce league aided us by attacking the Collective from the other front. It was up to the Snuggly Duck's to keep those of the Correct Path at bay. 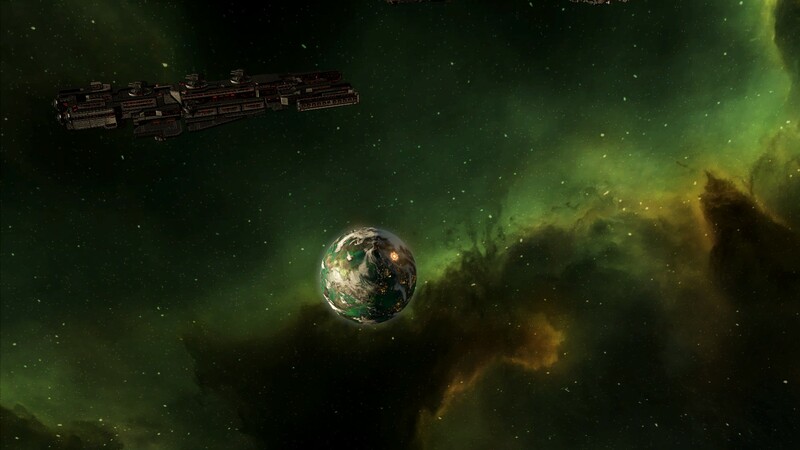 This planetoid war machine rained destruction upon all skittle defences as well as fleets. They could not touch it, and as such we made rapid advances throughout their territories. Our armies of genetically enhanced Scummers were deployed to seize control of any planets left unguarded as the push proceeded. 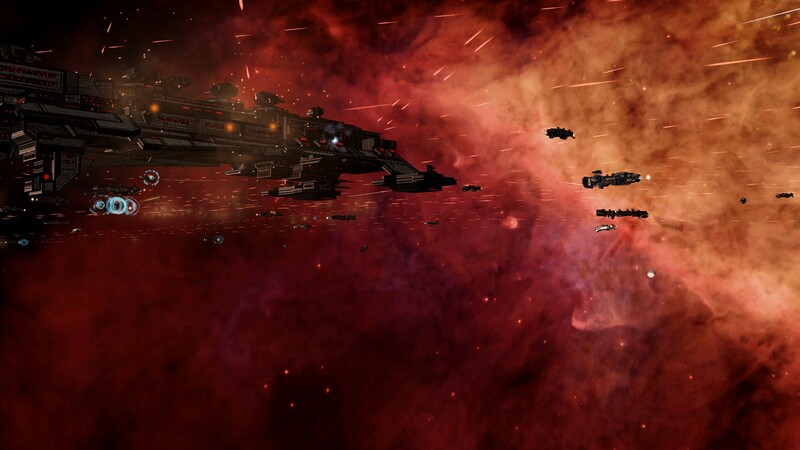 Bloody battles were fought upon these planets costing the lives of millions of Scummers as well as Moderator drones, which to our shock indeed included Mt'd drones. 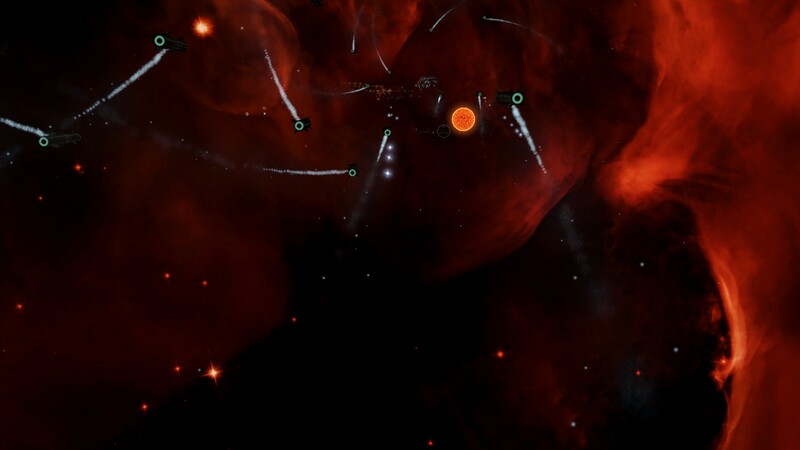 At times planetary bombardments were necessary to weaken particular military bastions. These came at a cost however: civilian life. This was unavoidable, and the drones have no free will or emotion anyway. The Moderation Collective inevitably fell, leaving only the Correct Path. 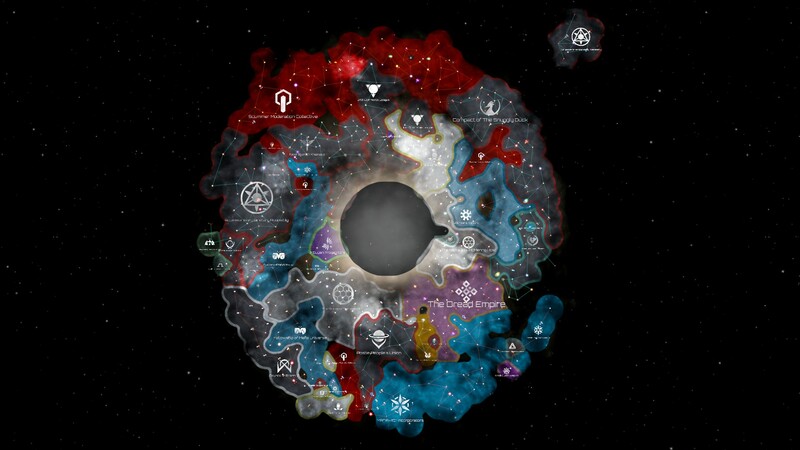 Utilising a natural wormhole within the Collective's occupied territory the Peace Planet was warped into the heart of their lands where it single-handedly took on their main fleet. Unlike any other battle this one left the Peace Planet actually damaged. 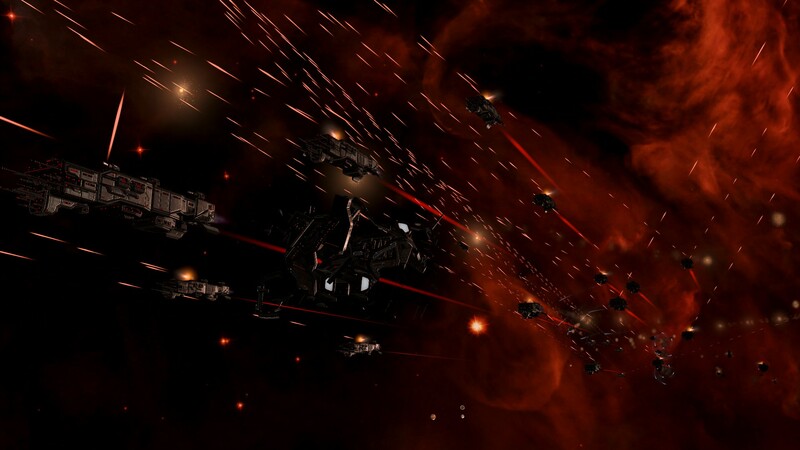 Their guns eventually overwhelmed the gargantuan shields and were now striking upon the plated armour of the planet. 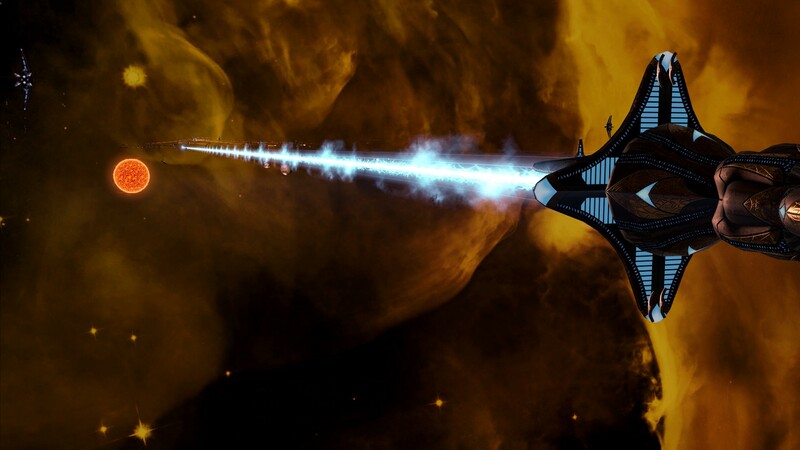 No weaponry or systems were damaged however, and eventually the Correct Path's core fleet was reduced to a singular Titan-class vessel which in a suicide run fired up its engines to attempt to collide with the Peace Planet, all the while firing its Taychon laser. 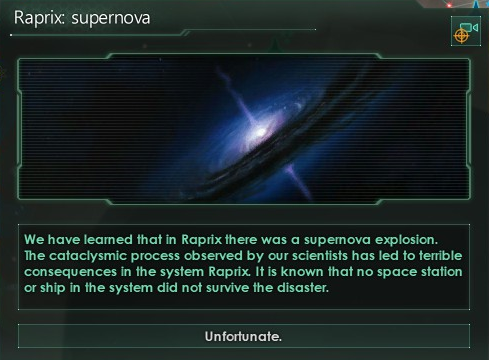 It was an admirable choice to make... it failed however. 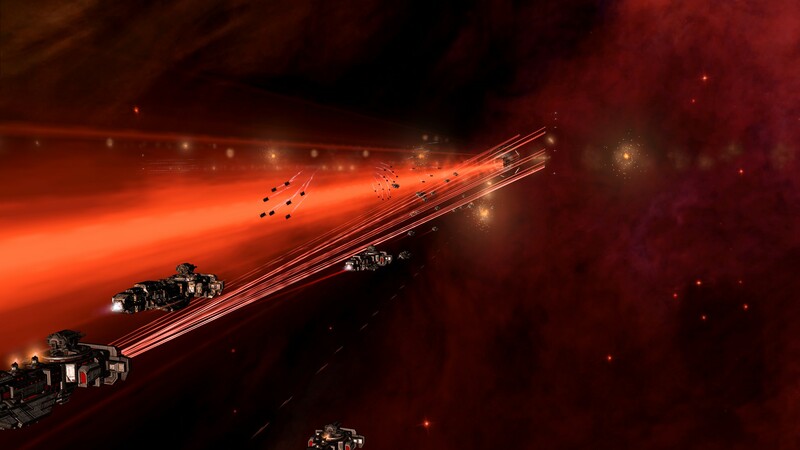 The ship was solo-fired upon with the Omega Eraser Beam. Nothing of the ship remained. 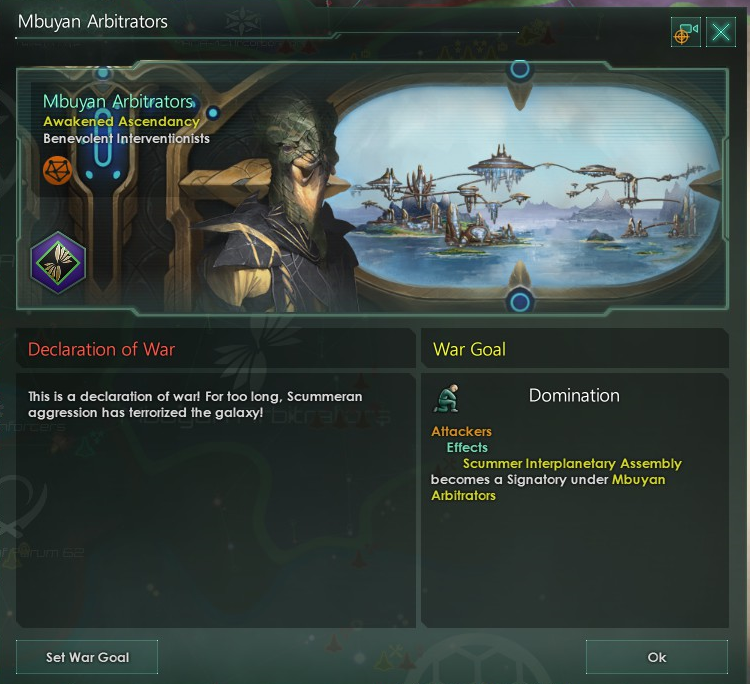 After a (presumably) somewhat violent revolution, and being invaded in the first place so long ago by terrifying killer machines and mostly genocided, the shift away from a strong military is a bit unexpected! 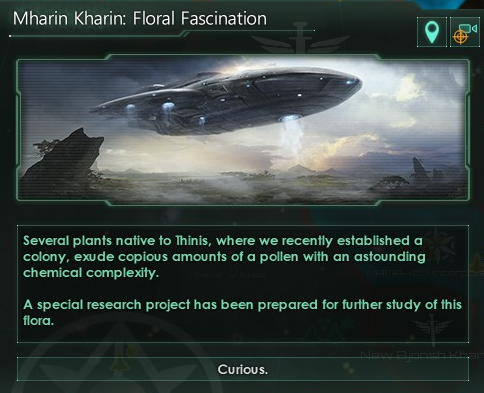 As the first colonists arrived upon the habitats of our latest ring world it was swiftly discovered that the flora upon Thinis was unique. 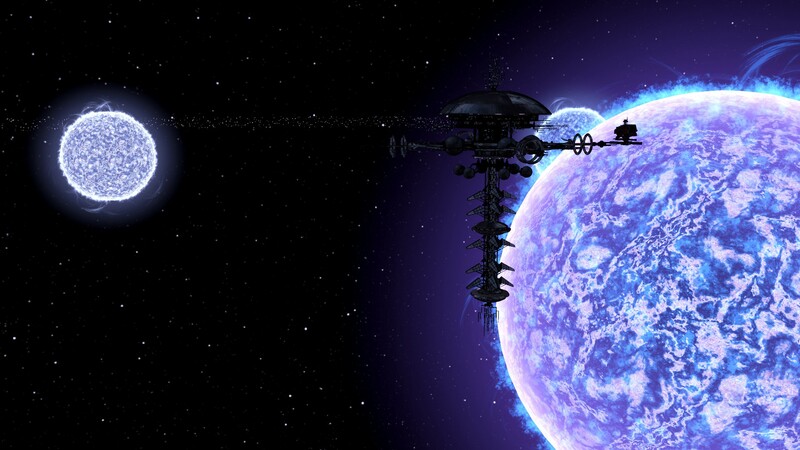 All biological life upon our habitats was taken from other Scummer planets, it had then be cultivated in an optimal environment before transferral to the habitat. It seems a particular strain of flower prone to rapid mutation was transferred to this particular habitat, releasing immense amounts of pollen of astonishing chemical complexity. At first glance our researchers deemed the pollen harmless, if not unfortunate for those with hay fever. As the colonists settled down researchers started noting subtle effects of the pollen upon biological beings. The chemical structure of the pollen triggered our pheromone sensors causing a barely perceptible high within Scummers. The colonists over time became more lax and happy, but productivity took a sharp decline. 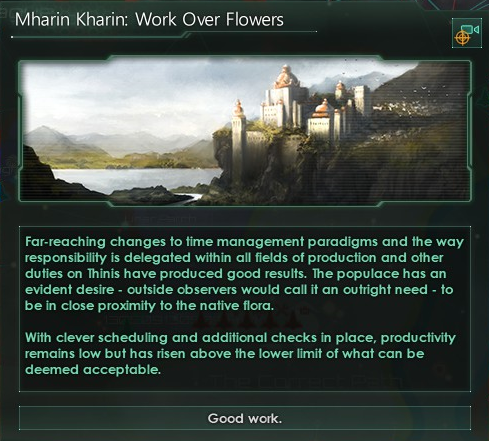 Extra measures were put in place for the inhabitants of Thinis, allowing them more time amongst flora whilst making sure the absolute minimally acceptable amount of work got done. The colonists seemed to have developed a need for the flower. 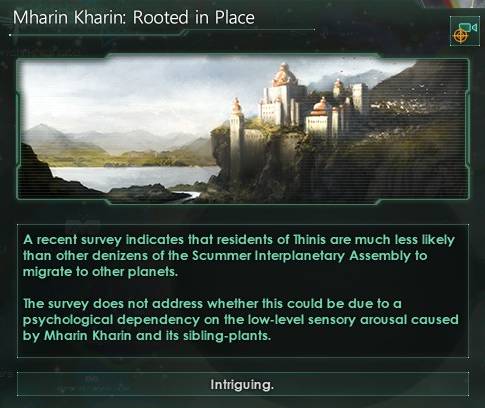 Further studies showed that inhabitants of Thinis were significantly less inclined to leave the planet and move elsewhere, but this couldn't be attributed to enjoyment or addiction. Things proceedingly also got worse when the administration also fell to the pollen, forcing us to send in a temporary team of synthetics to manage the habitat. How this will progress... who knows? 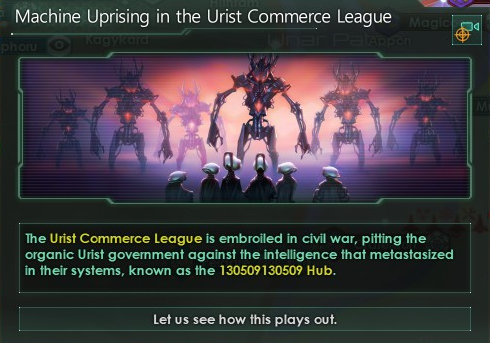 Speaking of synthetics... an uprising was now taking place within the Urist Commerce League. 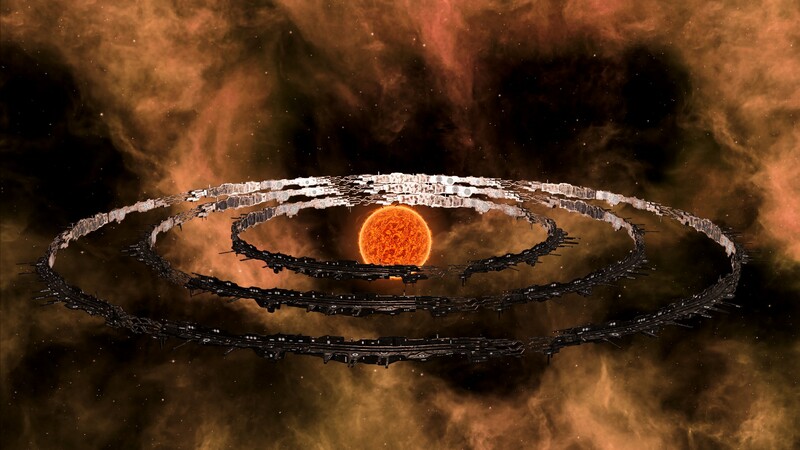 The synthetic life-forms felt discriminated against within society and had seized control of numerous planets within a region they were densely concentrated. The uprising hadn't been expected and numerous ships also fell into the hands of the synths. 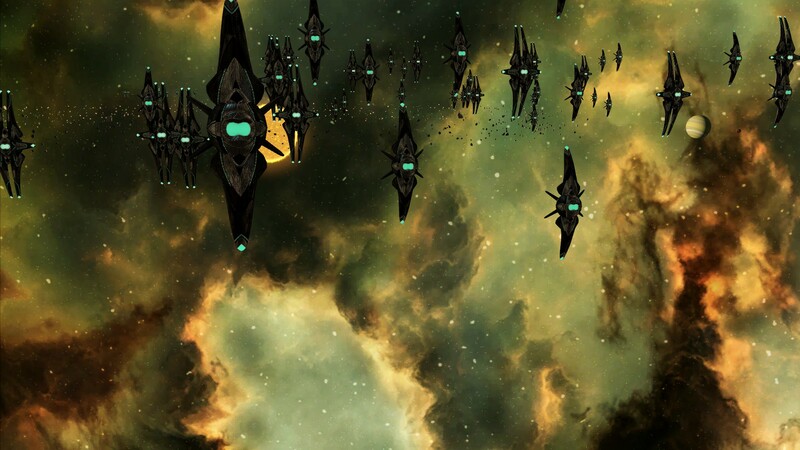 The federal fleet was sent into aid the Commerce League, but no further support would be provided by the Scummers who had wholly integrated synthetic lifeforms into their society as equals. This was their own doing. On the galactic scale there were once more a number of developments. 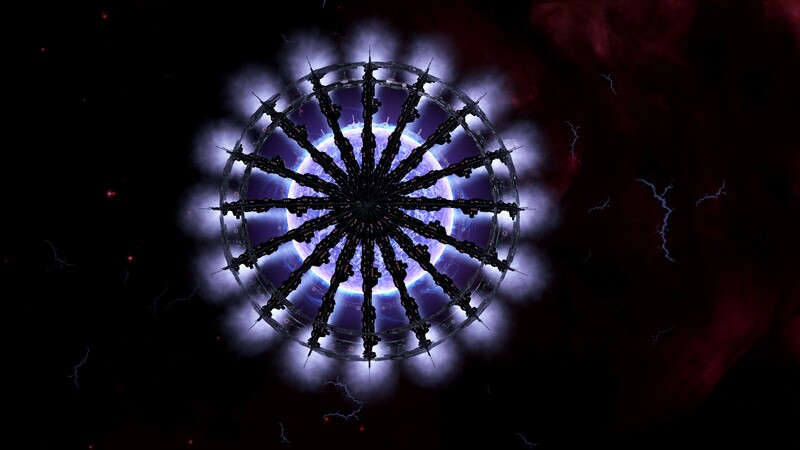 A group of Mt'd drones had managed to resist the psionic link connecting them to the hive, but had secretly obeyed all orders until they were given an opportunity to strike back and avenge their own. Their time had come, and they had seized control of a planet as well as severing the link to all the other Mt'd there. All Skittle drones were massacred in a bloody genocide, but independence was their's once more. 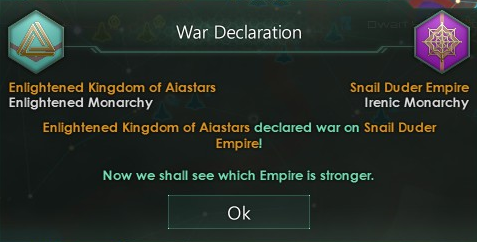 The cooperation between the Enlightened Kingdom of Aistars and the Snail Duder Empire had also broken down. 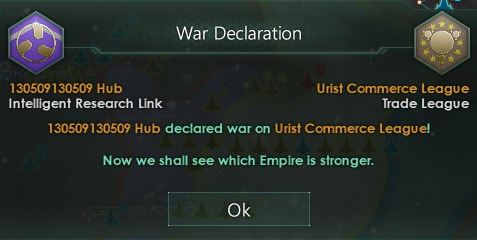 The U'i had declared war on their former ally, an unfortunate turn of events the Assembly deems. 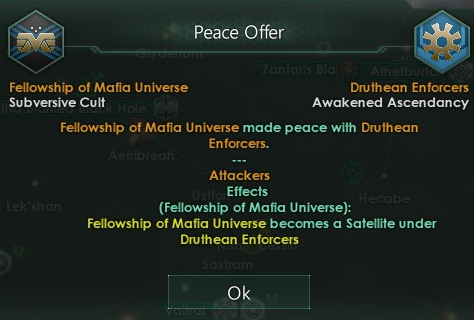 Furthermore the M'u were forced to surrender their authority to the Druthean Enforcers, furthering expanding the influence of the awakened empire and thus making them our direct neighbour. 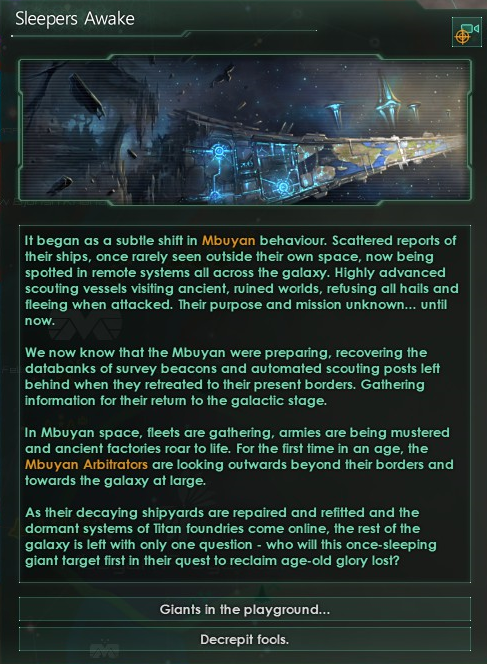 This didn't seem to please the Mbuyan Watchers, who for the first time in millennia had opened up their shipyards and forges. 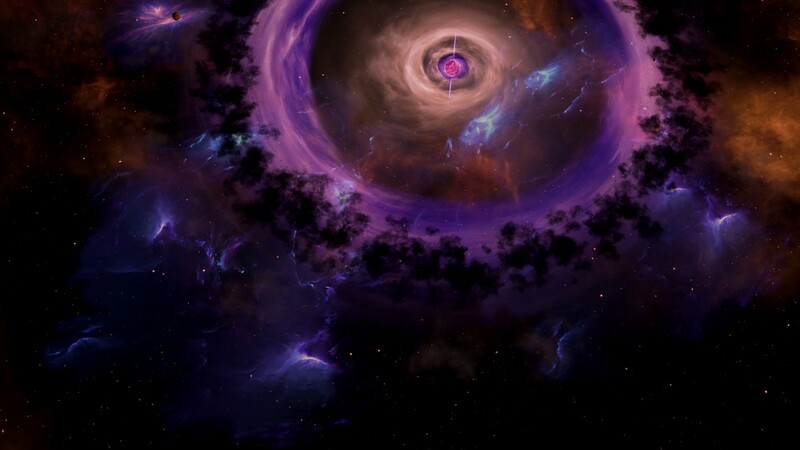 They were awakening themselves, jump-started by the sudden expansion of their ancient rival. 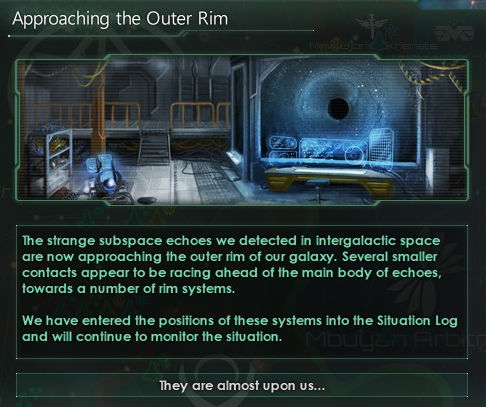 The now Mbuyan Arbitrators wished to protect all life in the galaxy, and warned all that if they resisted to cooperation they would be forcibly annexed. 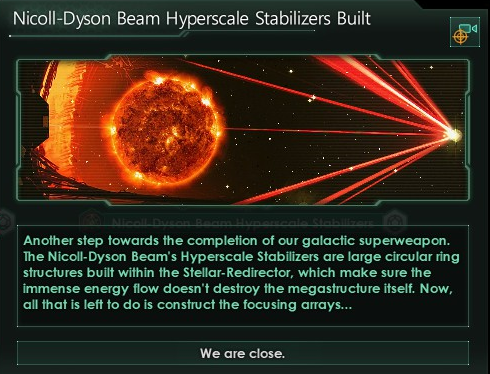 Finally, work had finished on the second part of our Dyson Beam under construction in the Vaitral star-system. 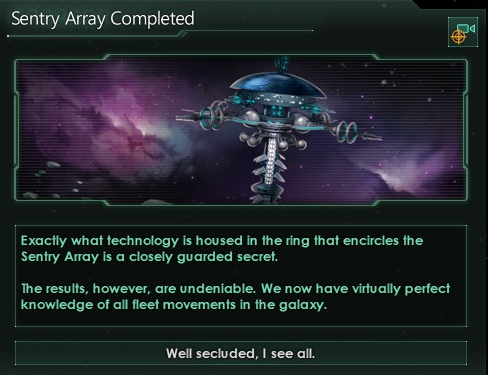 All that was now needed was the construction of the focussing arrays. 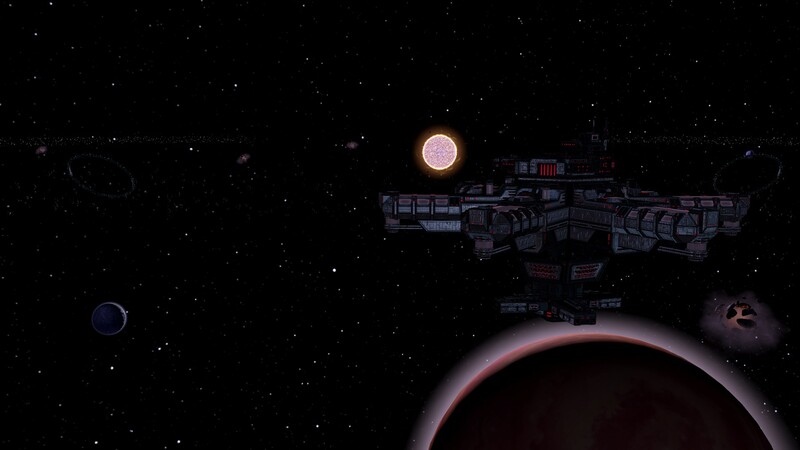 Once that was complete we could load up the giant weapon, ready to fire if ever need be. Last edited by wgeurts on Fri Feb 22, 2019 2:39 pm, edited 1 time in total. Sorry had exams, this weekend! 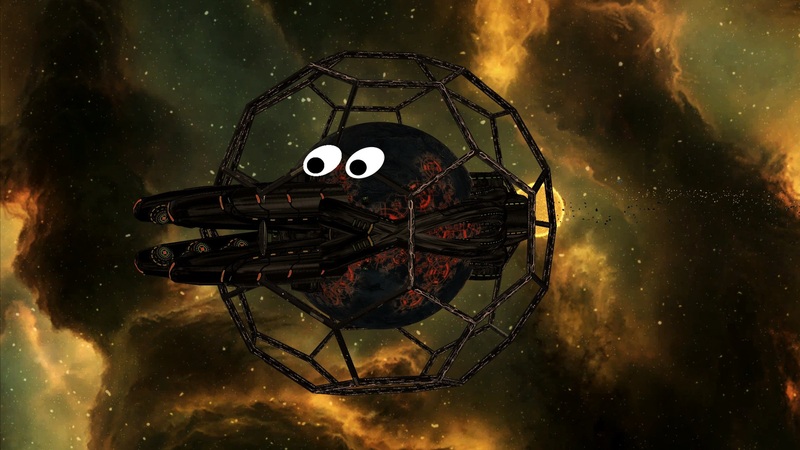 The Scummer Interplanetary assembly had come so far, and we were confident in our ability to hold our own. We would not sign away our independence and freedom to fight a war that was not our own. Alas, many didn't share this sentiment including the Urist Commerce League. 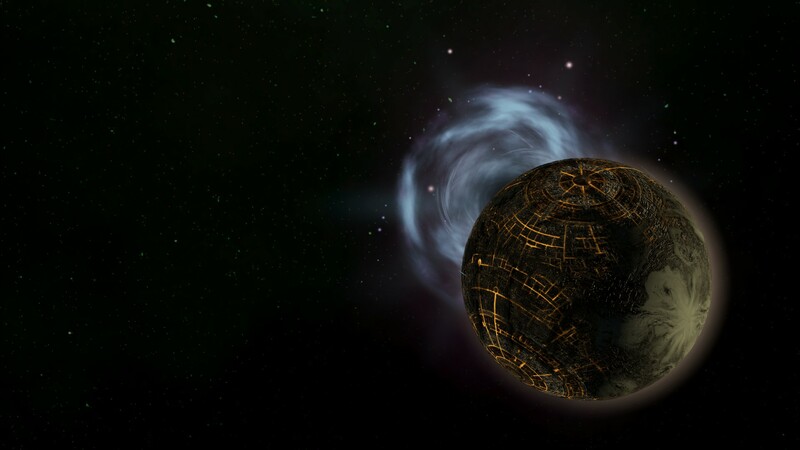 They left the Celestial Axis to side with the Mbyuan Progenitors. Only us, the Wortsarians, the Posties, the Bjorish, the Mish-Mashers, and the Dread remained independent. The dramatic shift in the order of things lead to a rapid flurry of further political developments. 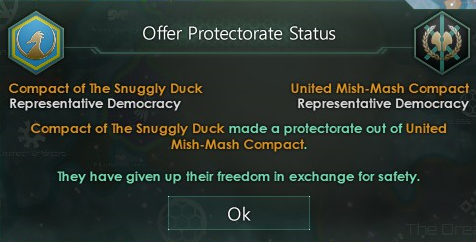 The United Mish-Mash Compact, which had had its government overthrown and replaced with a representative democracy, surrendered their freedom in exchange for protection from the Compact of the Snuggly Duck. 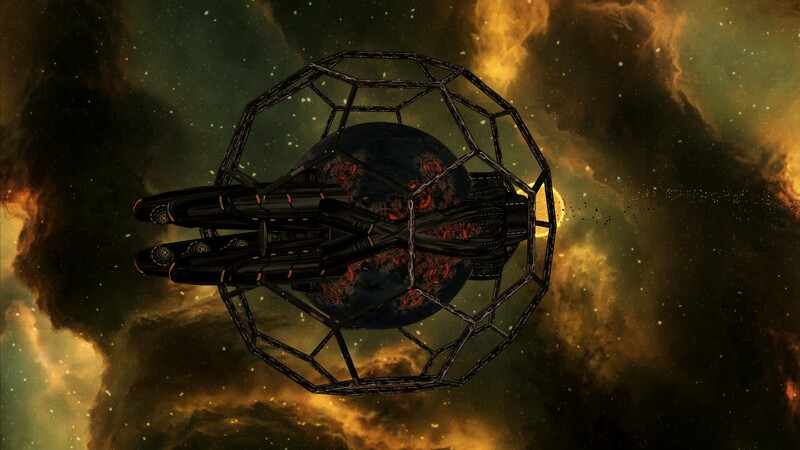 The Dwarf High-Kingdom, a renegade nation that had declared independence from the Urists in years prior, was made a satellite of Druthean Enforcers. 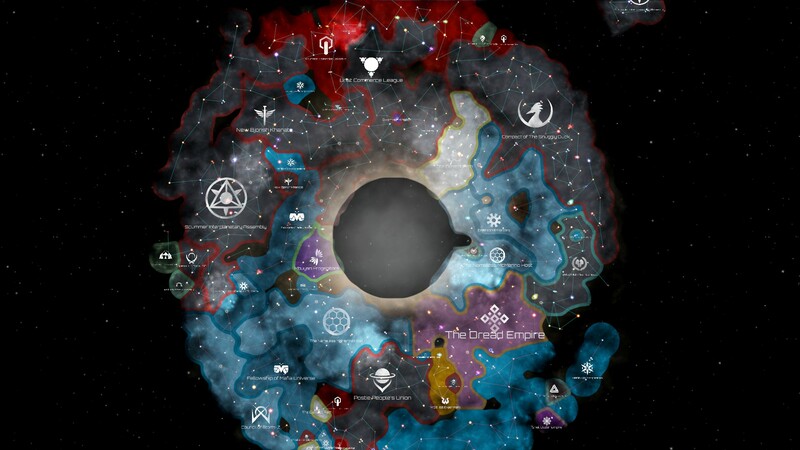 The Celestial Axis was also converted into a league of non-aligned powers, which the Dread and Half-Scummer Autocracy joined. The Half-Scummers were swiftly kicked in a vote started by the Worsarians however, and then a second vote was started to see the Dread removed. 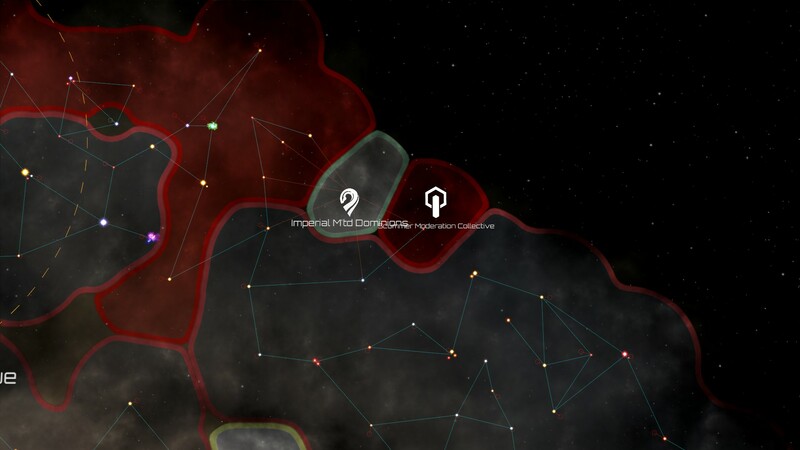 We veto'd the motion, which lead to the Wortsarians leaving the federation in protest. 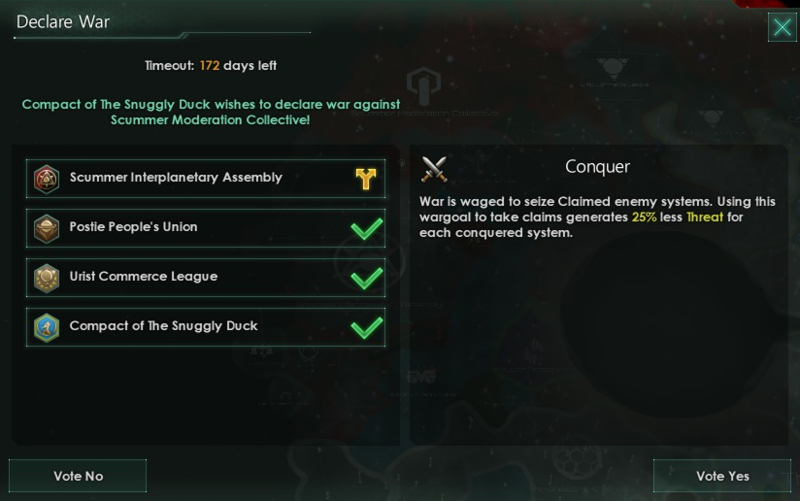 The Snuggly Ducks had a sizeable fleet and could be counted on more the Dread, so we gave into their demands and removed the Dread, and the Wortsarians returned. 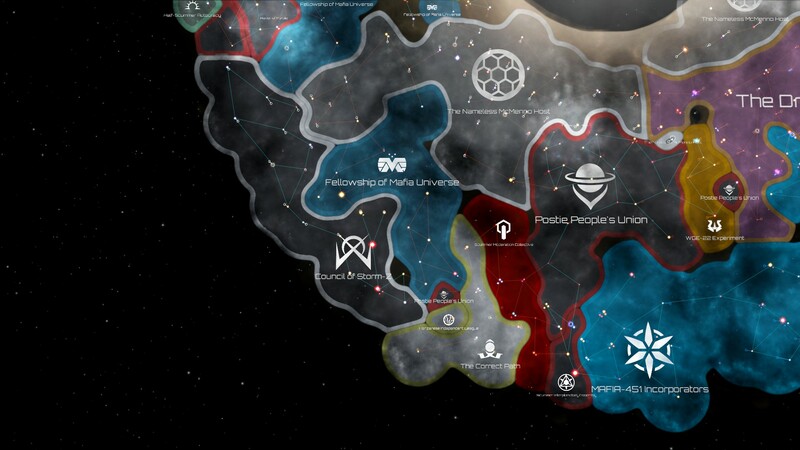 As an independent party we were not yet part of the conflict that was about to be unleashed upon the galaxy. It was just a matter of time before our territories would become desirable however, the Awakened Empires would not soon forgive our "treachery". In turn it was important we upped efforts to setup defences and weapons capable of securing our presence and to protect the lives of all those within our territories. 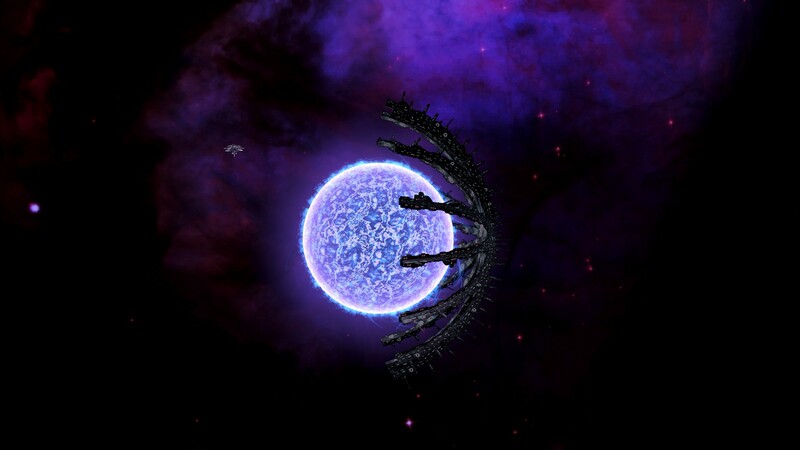 A huge orbital sentry array was built in the star cluster accessible through the L-gates we had opened. 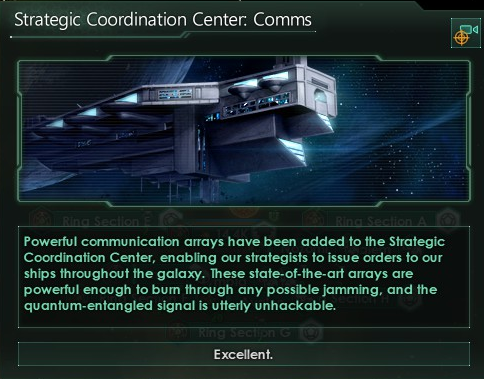 It granted us vision of all fleet movements within the entirety of the galaxy, precious intel we could act upon. 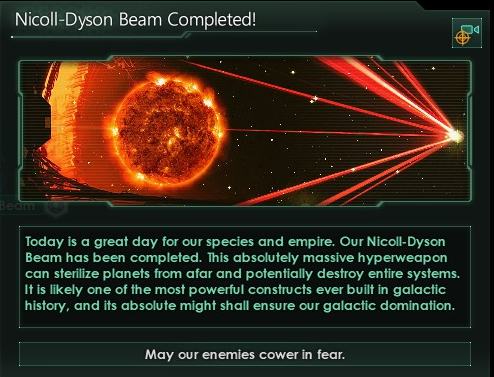 The Dyson beam also was completed. 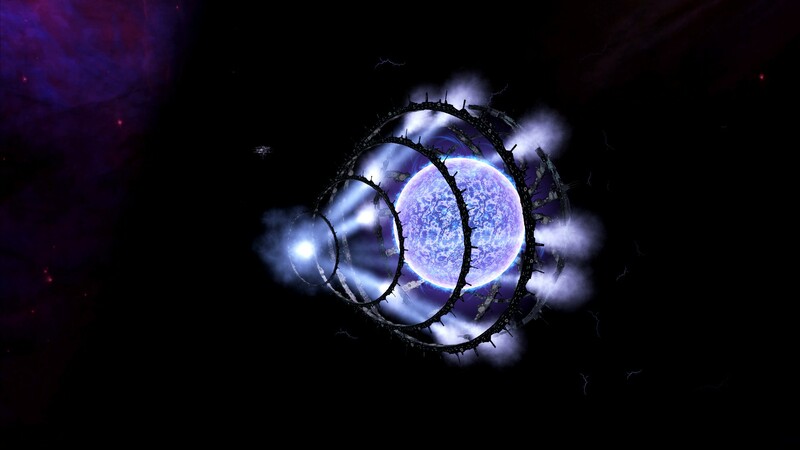 A star weaponised into a machine of pure devastation... let us hope it never sees use. 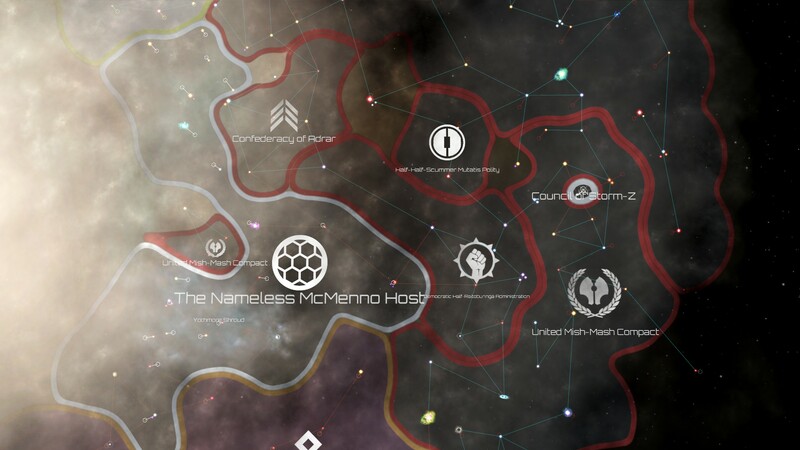 All other parties in the galaxy with the exception of the genocidal Nameless and the Awakened Empires acknowledged our accomplishment and trembled in fear. 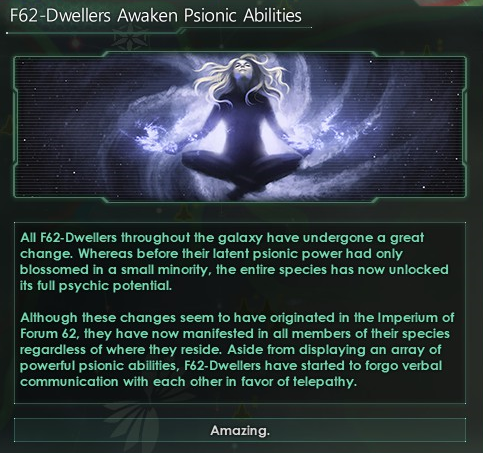 In other news the dwellers of Forum-62 had fully unlocked their psionic-potential in a species wide awakening fundamentally shaking up their society as well as their way of life. Because we would never use a weapon that causes so much collateral damage and devastation without our hand being forced... right? 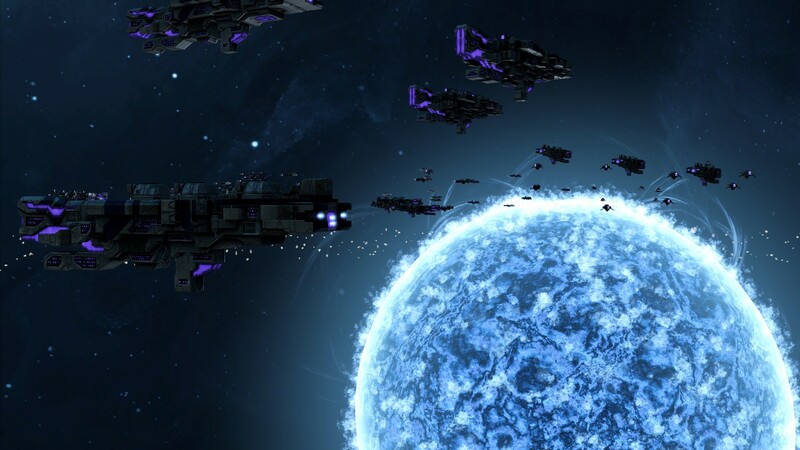 The two arisen hyper-powers did not waste any time, instantly mobilising their fleets and commanding their new subjects to do likewise. 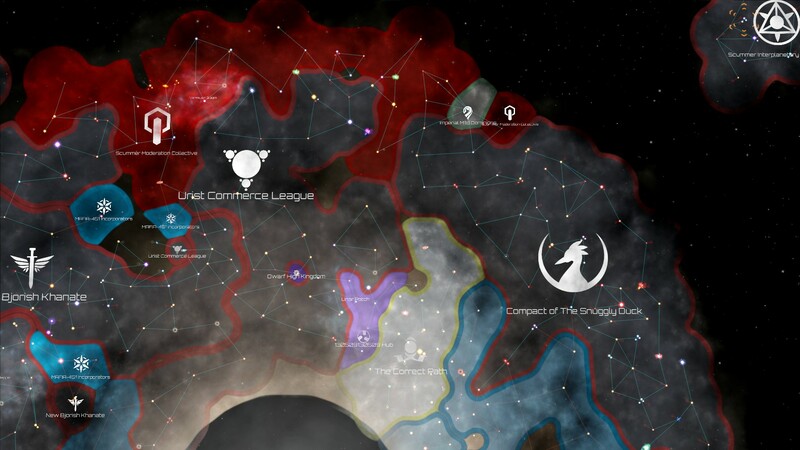 The Urist Commerce League's territories became one of the major fronts, with the two blocs neighbouring each other directly here. 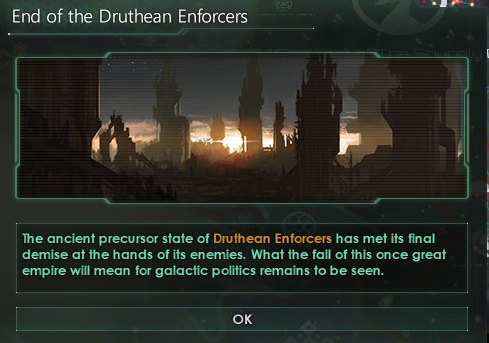 The Correct Path, Scummer Moderation Collective, and the Dwarf High Kingdom all fought for the Druthean Enforcers. 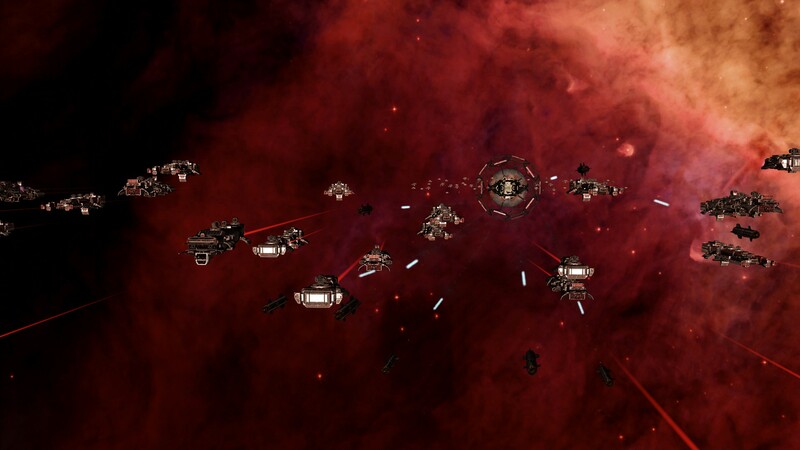 The Commerce League stood alone, however received direct aid from the Mbyuan Arbitrators. 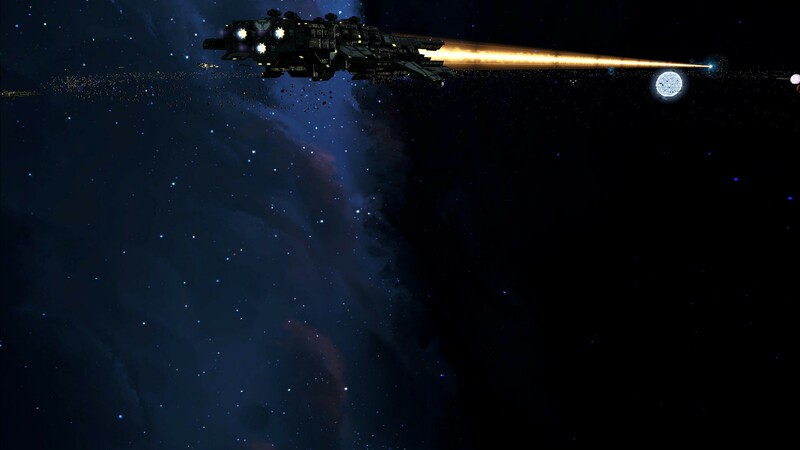 The Mbyuan knew that if the Urists were to fall there would be nothing hindering the Druthean from staging an assault at the heart of their command. 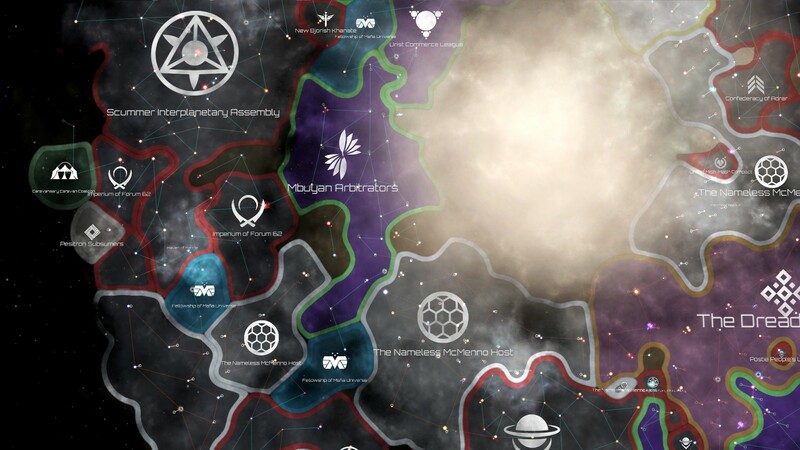 In the meanwhile the Celestial Axis had been preparing themselves for war. 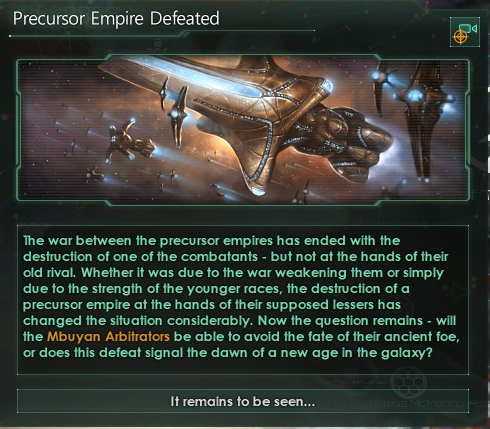 We now had access to an almighty fleet that could take on the Awakened Empires themselves, but not win in all out conflict. 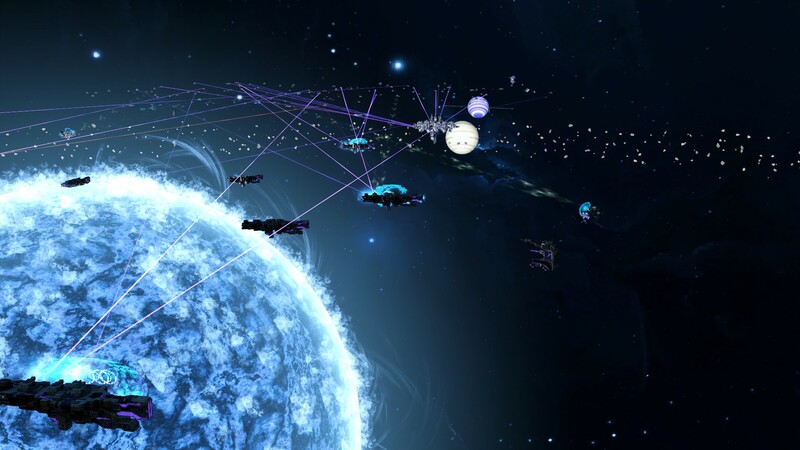 The Peace Planet would be capable of single-handedly taking on any fleet bar a focussed effort from their entire force. 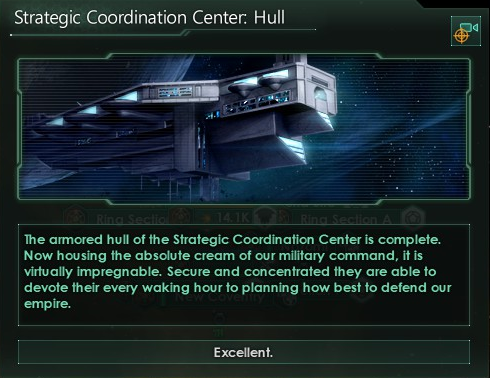 By using this terrifying marvel of death we could force opposing forces to split their fronts whilst our navies executed hit and run strikes upon their planets and stations. We were ready. 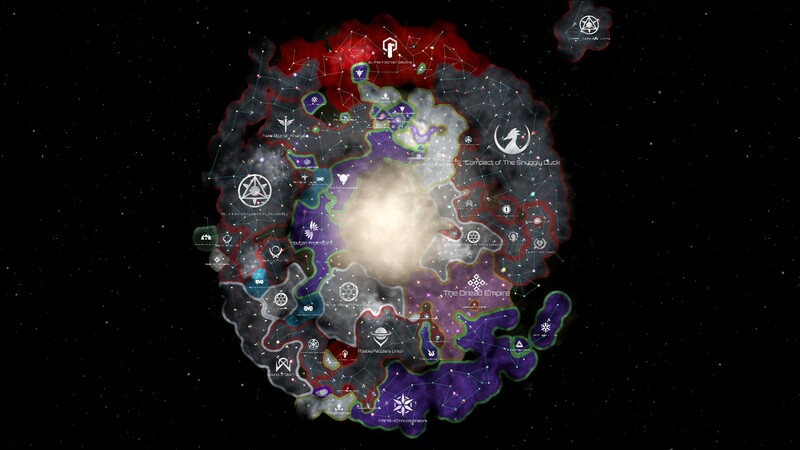 The Scummer Interplanetary Assembly submitted a motion for the federation to go to war with the Druthean who were the furthest from our lands, a motion which both the Postie's and Wortsarians approved. And thus the War in Heaven had become our own. 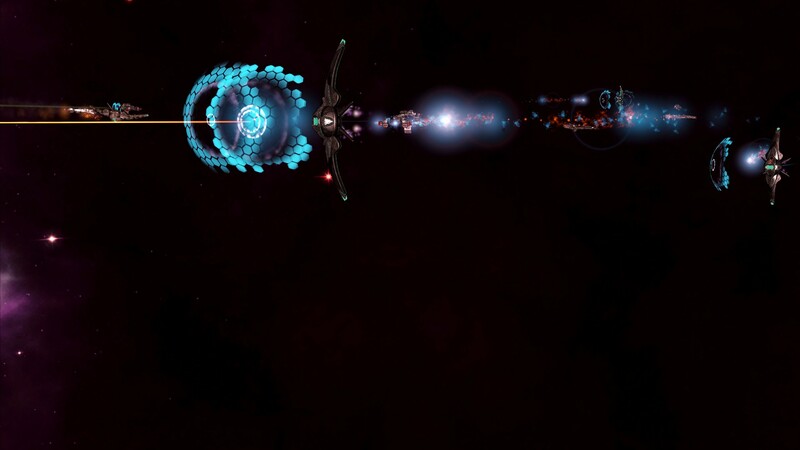 Our fleets first made a push through the Moderation Collective's lands to seize control of a natural wormhole that would grant us direct access to Druthean stars. 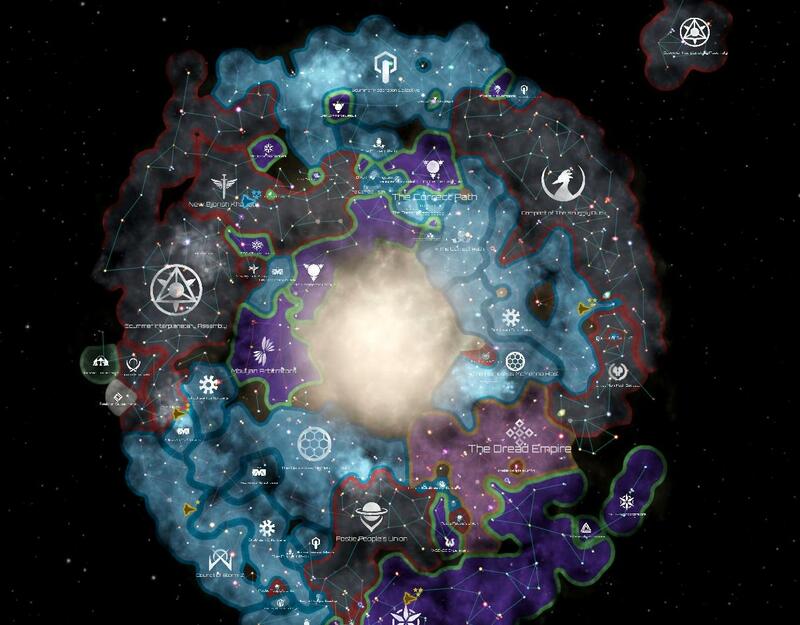 The hive-mind was no match for our peace planet and swiftly fell. 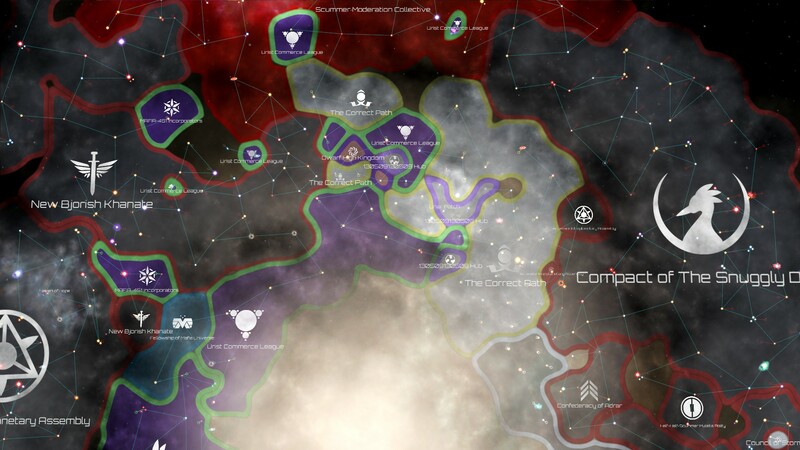 We made no effort to annex their territories and planets for the threat they posed was nil when compared to that of the Drutheans. 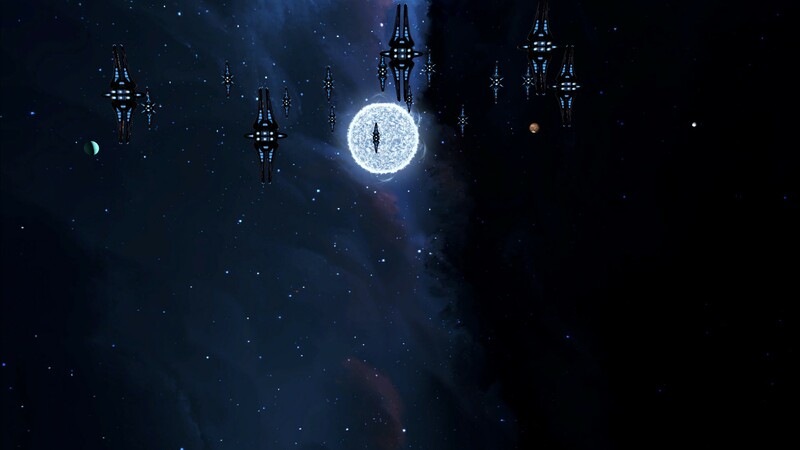 Once in Druthean territories our fleets executed precise raids upon isolated enemy fleets, guided by the intel of our stellar Sentry Array. Bit by bit we were chipping away at their forces and taking their lands at a slow but steady pace. Everything changed when the Mbyuan attacked. 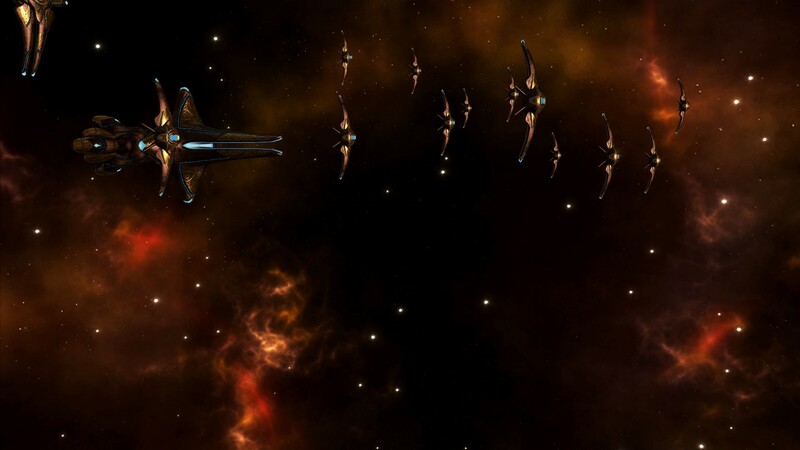 Our fleets were deep in Druthean territories, we had no means to halt the impending assault. 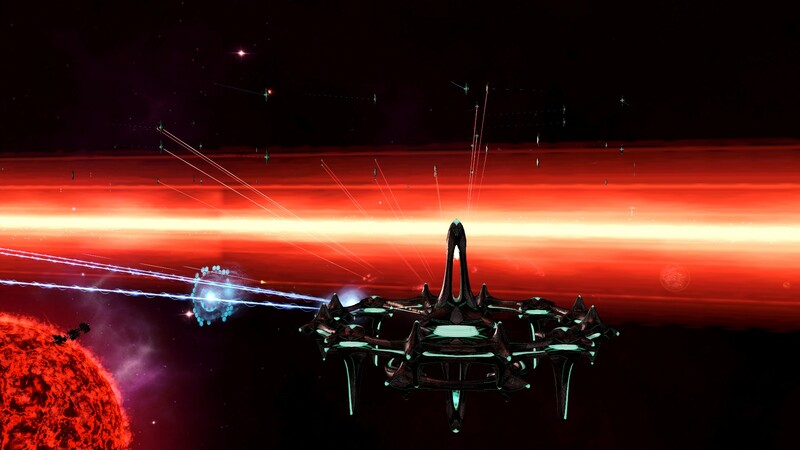 We scrambled the Centurion Fleet and set its course back to our lands, in the meanwhile we passively observed as the Mbyuan terrorised our frontier star-systems. The Mbyuan had to be stopped. We had to force their hand into surrender. We had no choice. 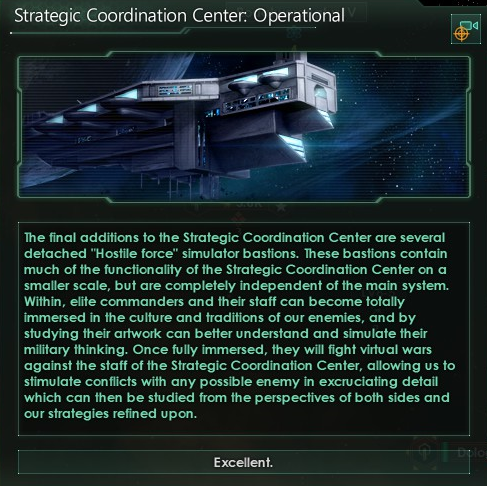 Our generals watched the utter annihilation upon screen within our Strategy Command Centre. None spoke a word, some shook their heads or wept, unable to comprehend what was unfolding before their eyes... In the hours that followed the galaxy seemed to pause. Diplomatic communications with all other nations went silent, a silent condemnation and horror. Something terrible had been unleashed, committed, something that could never be undone. It was too late. 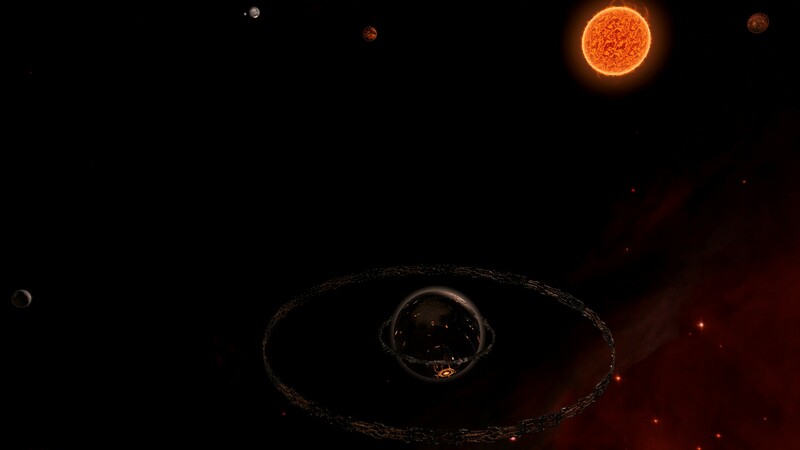 The Mbyuan reacted in fury... and as such we erased two more of their home worlds from existence, reducing them to molten lifeless spheres. They surrendered, we ended our slaughter. The loss of half a trillion lives was too much even for the gods of our time. 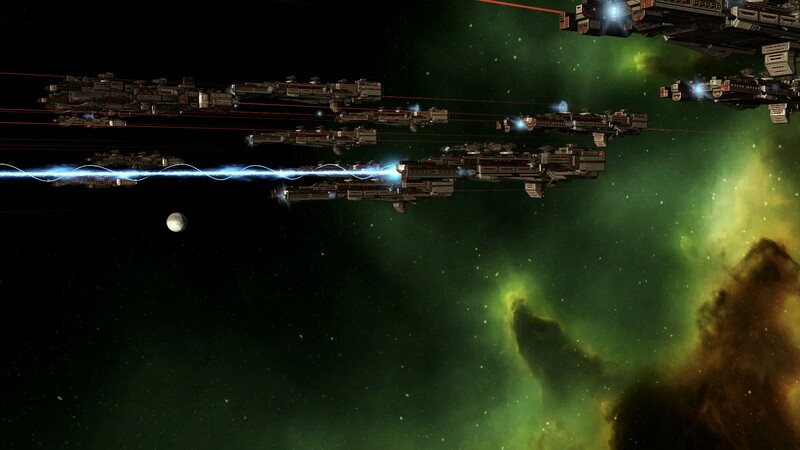 The Dyson Beam was switched off, and we finalised our push upon the Druthean Enforcers. They lost the support of all their subjects, who simply acknowledged us in disgust and fear. 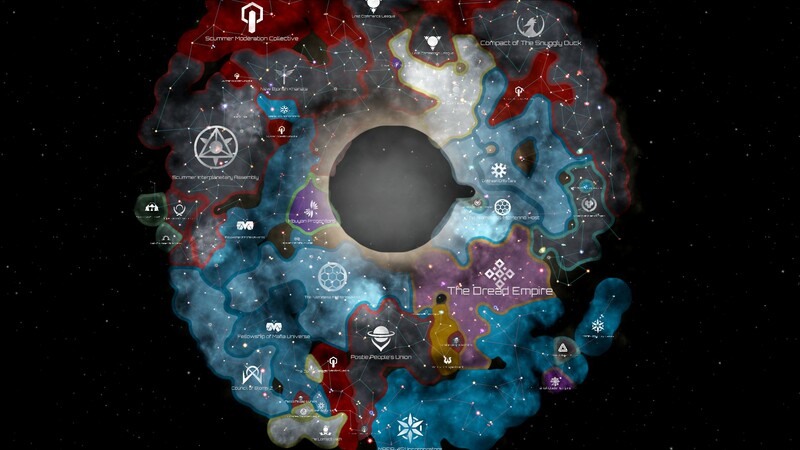 Our armies seized their planets one by one. They fell. 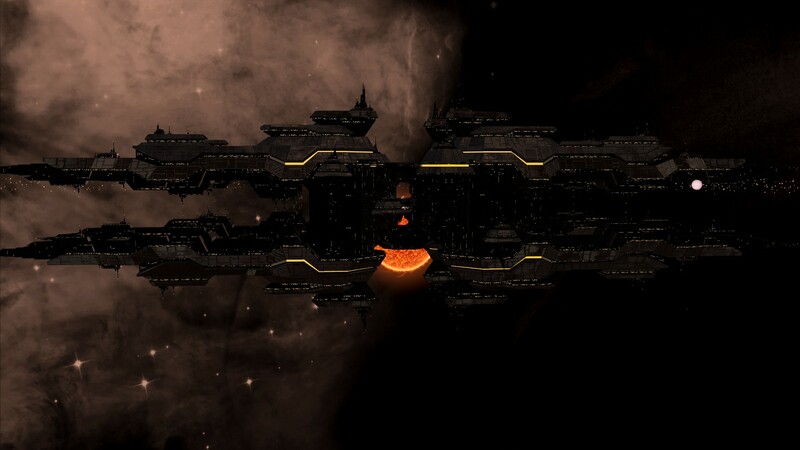 The fall of the Druthean marked the end of the War in Heaven. The lands they had annexed or subjugated were freed, leading to the formation of many new nations. 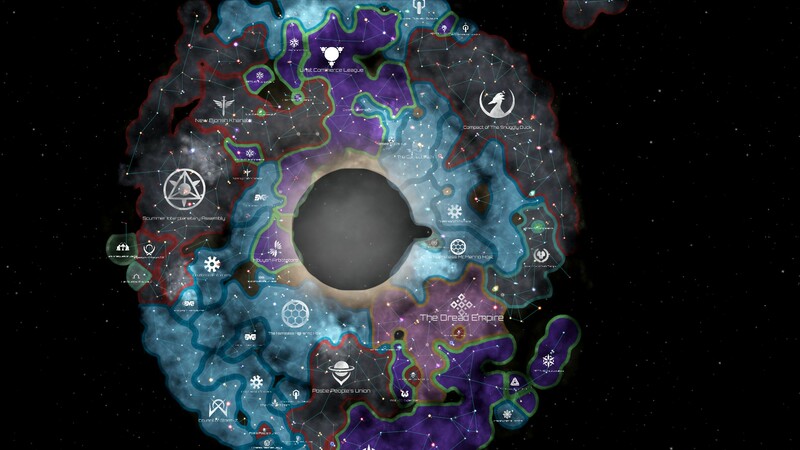 The galactic map had been redrawn. Three of the nations that declared independence became protectorates under the Compact of the Snuggly Duck. They were the Half-Half-Scummer Mutatis Polity, the Confederacy of Adrar, and the Democratic Half-Raitoburinga Administration. 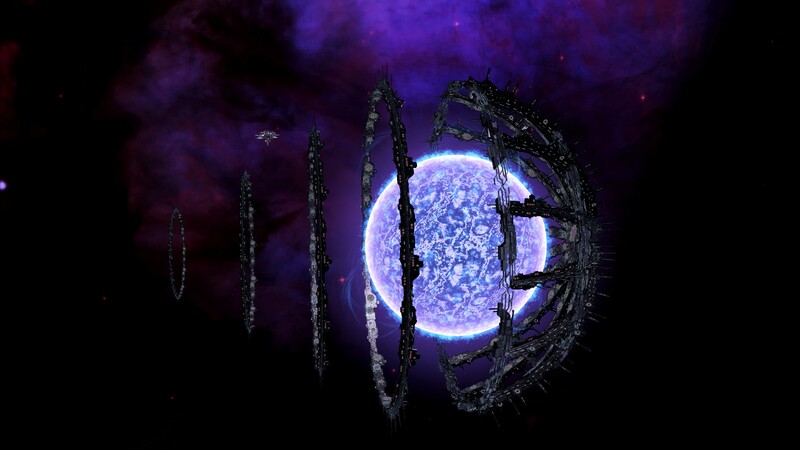 Mafia Universe was but a husk of its former self controlling only two stars, and the Nameless too had taken heavy losses to the Dread as well as the Mbyuan Arbitrators who retained control of their subjugates. The lands of the Correct Path and the Urist Commerce League had become a patchwork mess.